S.D. What instrument do you play in Gladstone? P.H. 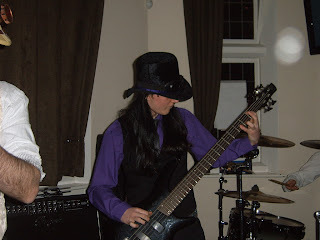 I play an Ibanez SR 305 five string bass guitar. S.D. How long have you been playing? P.H. 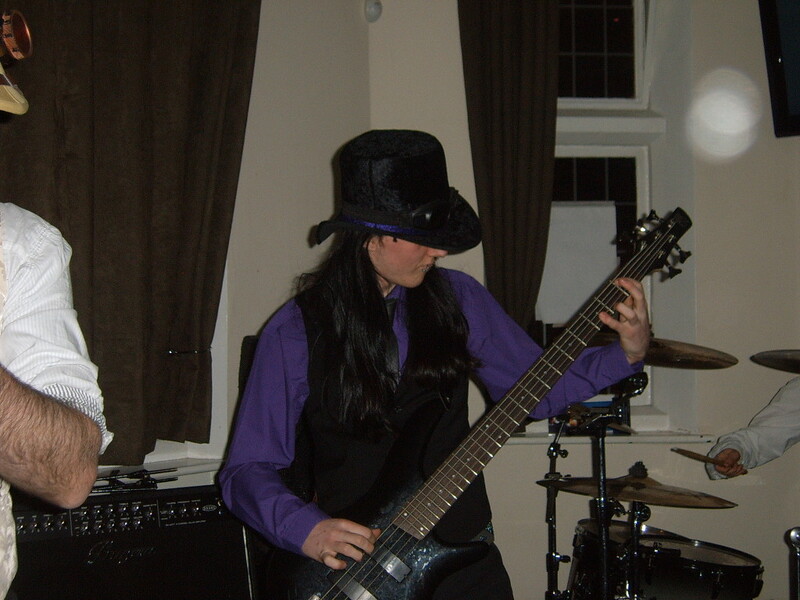 Well, I started playing guitar about 6-7 years ago, switching to bass about 2 years ago and I don't regret it at all, I find it much more fun to play bass. S.D. What bands have influenced you? S.D. Are you in a relationship at the moment? P.H. Yes I've been in a relationship with Evie Collyer for just over six months. S.D. What got you into Steampunk? P.H. I got into Steampunk in May last year when I was asked to join the band, I didn't know what it was until then, since then I've been to several Steampunk events with Evie and band members. S.D. I know Steampunk music is varied in style, do you have any favourites? P.H. Yes I like BB Blackdog, Ghostfire, Broadarrow Jack, Abney Park, TMTWNBBFN and I love to hear Professor Elemental. S.D. What was the most enjoyable event you have been to recently? P.H. It has to be the Steampunk Movie night at the Vernon Arms in Nottingham. We met lot's of other Steampunks and had a great time. S.D. Thanks for taking the time for this interview, what advice do you have for someone just picking up the bass? P.H. Yeah, play with your fingers not a pick!